One thing I like about summertime are the french fairs that pop up! I adore them. Mainly because of the cute sweet stands they have serving up any and all sugary concoctions one can imagine! Goodness I just wanted to eat everything. Since Paris is a city full of beige immeubles (buildings), these colorful fairs are a sight for sore eyes. Sure you still your creepy carnies and the un-savory types who hang around, but it's all good fun none the less. 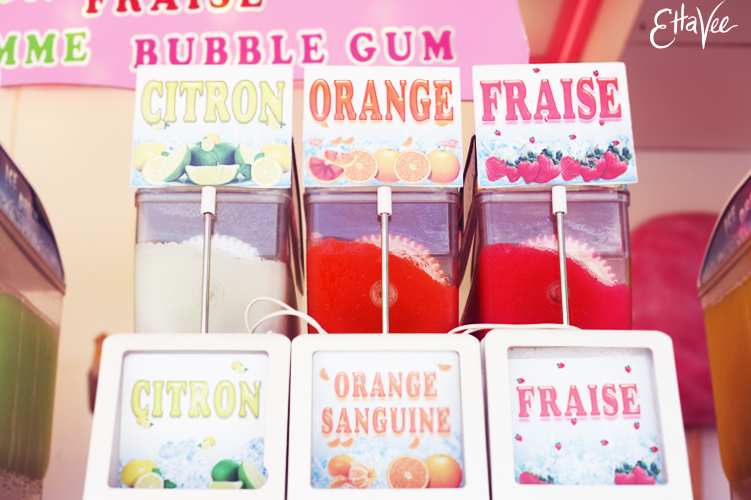 I'm looking forward to hitting up the summer fair in the Tuileries! I love going at night and watching the eiffel tower sparkle from the top of the ferris wheel! !